Gina was my friend for 17 years, with ups and downs as in many friendships, and of those years, about 10 years of partnership on research of mangroves. 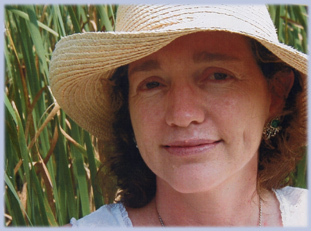 When we remember her and her academic achievements, it is the mangrove story and a story of a woman who fought hard and sacrificed much to be a researcher in Mexico. She did very well from the start. She graduated as the best student of her class from the Autonomous University of Baja California Sur and brilliantly defended her thesis. Her thesis paper was accepted in one of the best international microbiology journals FEMS Microbiology Ecology. She discovered (along with Gerardo Toledo and me) a new disease of cardon cactus, helped in many agricultural consultancies and agricultural projects, even though she was a marine biologist and not trained in these areas. All she touched in her professional life turned out very well and many publications, both nationally and internationally resulted from this cooperative work. She graduated her M.Sc. with honors at CICIMAR-La Paz, Mexico in 1996 and decided to obtain molecular biology skills in a Ph.D. in Canada. 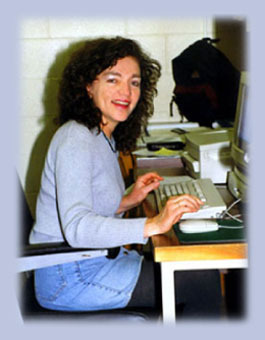 After a short post-doctoral period at Oak Ridge National Laboratory in Tennessee, she returned to CIBNOR in 2001. The long period in Canada had an unexpected and profound effect on Gina’s psyche as a scientist. The Gina who returned from Canada was a very different person that we had known. Another person was borne, trying to quietly prove something that to this day, I cannot understand what it was. She decided to be independent, suggested a subject that we had never worked on: cell-cell recognition in mangrove microbial communities. She fought endlessly in regional and national political committees to protect and preserve the mangroves in Baja California Sur. Mangroves were the main issue. There was no “small project” or “impossible project” when mangroves were the issue. These endless struggles took much of her time and energy and probably affected her health, as well. Her motivation and driving force were enormous and most of the time I failed to understand why she is pushing herself so hard when everything within the research group and with her own research was going so well. She never explained or complained. Perhaps she felt that she is living on borrow time. She created projects on mangroves in collaboration with Colombian and US researchers, recruited seven students who studied mangroves and even planned restoration of an extinct mangroves in Loreto Bay in Mexico with a local company. This last endeavor had not materialized. Although Gina worked most of the time on her own with her students during the last years of her life, she was, overall, extraordinarily productive during her 17-year career. 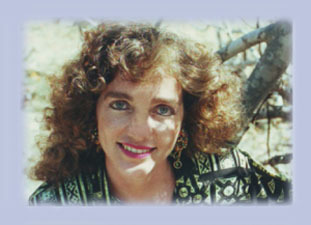 She published about 40 papers, many in the best specialty scientific journals, but also in magazines and newspapers to increase awareness of the public to the plight of the mangroves. Her work was cited by others several hundred times. Several scientific journals considered her publications as milestones in science. She graduated five students with M.Sc. degrees and one with a B.Sc. and was a major asset for CIBNOR. For me during all these years of frenzied activities, she was my friend and this is how I will remember her. May she live forever in the shadow of the Big Mangrove in the sky and watch over the mangroves of Earth.